My favourite fragrance has to be Alien by Mugler. I’ve bought two bottles – one for my birthday and one for Christmas – every year since I was 17 years old. For me, Alien holds almost a decade worth of memories, which come flooding back with every application. 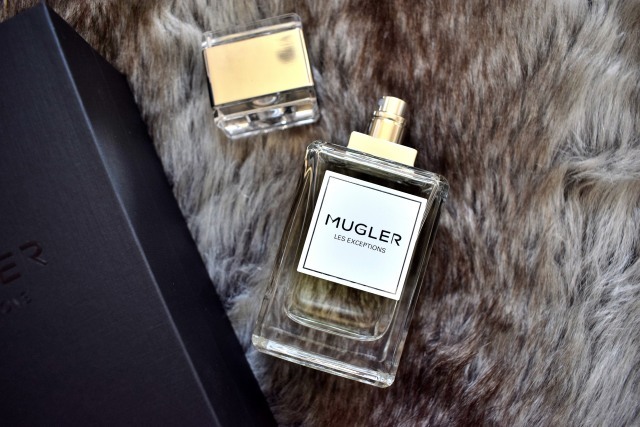 During this time I’ve never thought to explore any other perfumes Mugler has to offer, until I was introduced to the new Les Exceptions collection. A set of haute couture fragrances, Les Exceptions by Mugler was illustrates the essence of the Mugler design expertise, exceptional heritage and visionary genius. This collection takes the traditional fragrance families and remasters them with innovative compositions and surprising ingredients that rewrite codes and kindle intense emotions. Exploring new avenues, speaking to both men and women alike, and boldly venturing into unlikely, daring and addictive encounters. There are eight fragrances to choose from and the one that instantly drew me in was Hot Cologne. 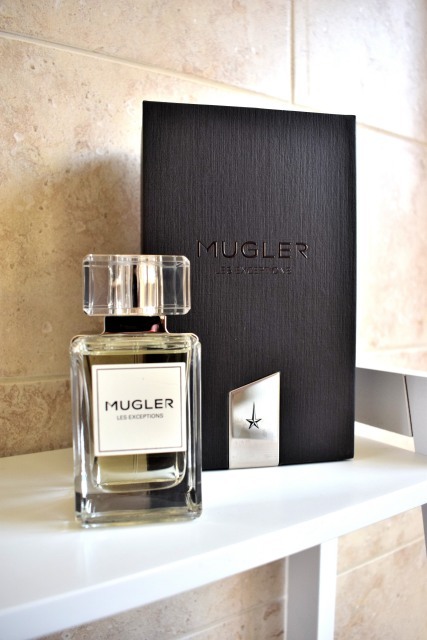 Before we dive into the fragrance let’s talk packaging, and Mugler have certainly outdone itself. 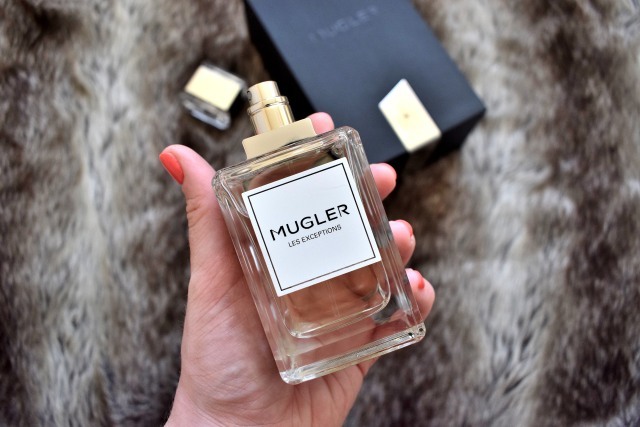 The subtle, faceted design of the Art Deco-inspired bottle showcases the distinctive architectural elegance that is Mugler. It’s absolutely gorgeous, and although simple it looks and feels very luxurious. Did you know before colognes were used to exhilarate the senses, they were prized for their curative powers and ingested as a potion, or rubbed onto the skin? This emblematic genre in traditional perfumery was chosen by Mugler to shape the eighth Les Exceptions fragrance – Hot Cologne. From the moment I first smelt Hot Cologne it just captivated my senses – I absolutely adore the scent. It’s a spicy and citrusy creation with racy notes. I’m not usually drawn to typical cologne scents, but there’s something different about Hot Cologne. This fragrance boasts the traditional combination of ingredients found in a cologne fragrance – opening with aromatic, citrusy notes such as lemon and petitgrain followed by a rich neroli heart – but then comes the difference. It quickly changes into a fiery cocktail of spices with ginger, cardamom and an overdose of green coffee – a crisp surprise ingredient with a bite that turns hot. I’m naturally drawn to zesty, citrusy scents as I love the fresh, sharpness of them. I’m also draw to quite warming scents and I absolutely love the smell of ginger. This is probably why I love the smell of Hot Cologne, and I’m not the only one; my boyfriend loves it too and since it’s unisex we can both enjoy it! 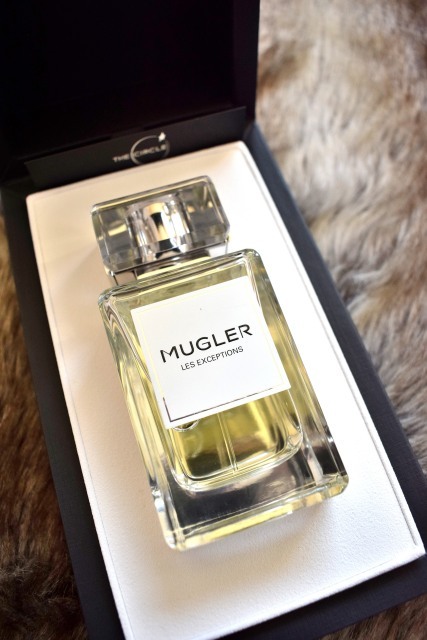 Hot Cologne and the entire Les Exceptions by Mugler collection can be found exclusively in Fenwick, Newcastle, Harrods and online at www.mugler.co.uk What’s your favourite fragrance – I’d love to know! 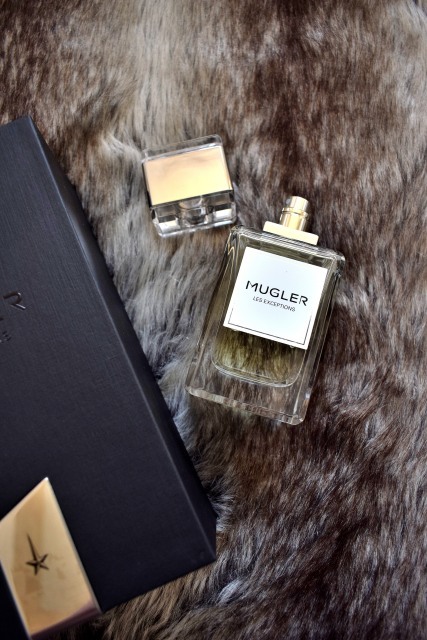 Fragrance c/o Mugler & Clarins. This sounds amazing! I love the simple design on the bottle too. love angel and alien so i bet this smells great! I smelt This at Heathrow airport last week and absolutely fell in love! I love how simple the packaging and design is! I feel like perfumes bottles are getting extremely wild and crazy nowadays and it can be intimidating. I love Alien – it’s my all time fave and used it for the last 8 years haha!